Play as Phoenix Wright's ancestor in a 19th century courtroom. 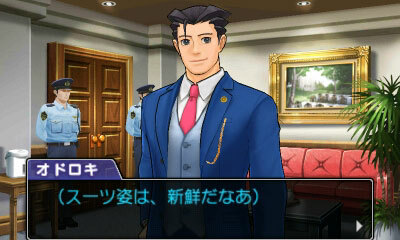 The next game in the Phoenix Wright: Ace Attorney series is Dai Gyakuten Saiban: Ryuunosuke Naruhodou no Bouken for 3DS, this week’s Famitsu reveals. Substituting the series’ Japanese names for their English counterparts, that could translate as Big Ace Attorney: Ryuunosuke Wright’s Adventure. Though the “Big” in that context does sound a bit silly. The game is set in Meiji era Japan and stars new protagonist Ryuunosuke Naruhodou, an ancestor of Ryuuichi Naruhodou (Phoenix Wright). Shintaro Kojima is producing, with series creator Shu Takumi serving as director. A release date was not announced.